Bolting On A Fresh New Look Right Off The Shelf. 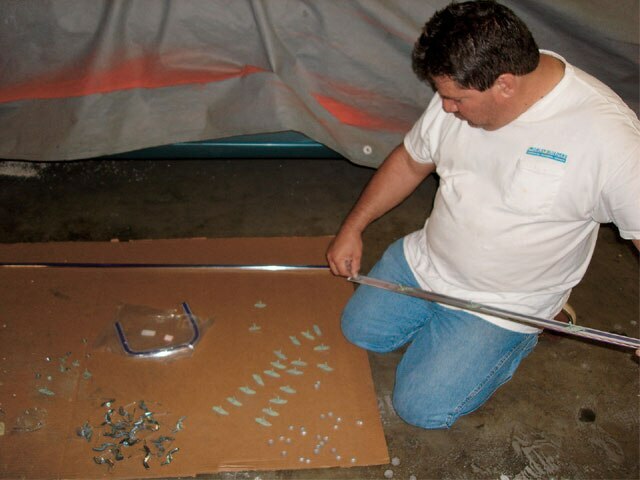 When it comes time to restore a car, the trim can become a big part of the build. If you redo an entire car, you can’t just bolt on those old parts with a new paint job. That would almost be like putting on a tuxedo with a dirty pair of sneakers. 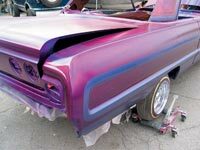 Most people will paint the car and then send out their trim to be completely redone or restored. This usually takes some time and can be an issue if you’re pressed for time. When you decide to build a car, you should always look into the availability of parts, as that could save you some cash. What do we mean? 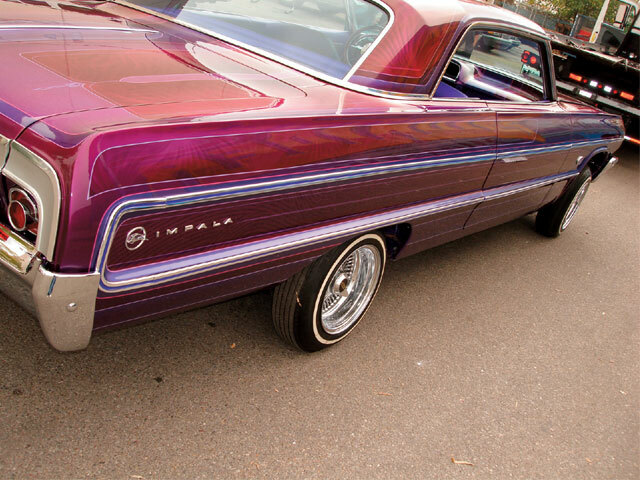 Sometimes it’s easier to buy new aftermarket parts, as we did for this ’64 Impala, instead of restoring old trim. Building show vehicles usually means deadlines and time issues. Buying new trim will cut your time in half, as you’ll have it in hand and won’t have to be waiting on it to come back from the chrome shop or the polisher. The “now” factor allows you to put your ride together quickly instead of waiting. And these days, the quality of aftermarket replacement parts, like those from CARS, Inc. and other restoration parts businesses that you’ll see mentioned in LRM, is right there, with a cost factor that won’t bust your budget. 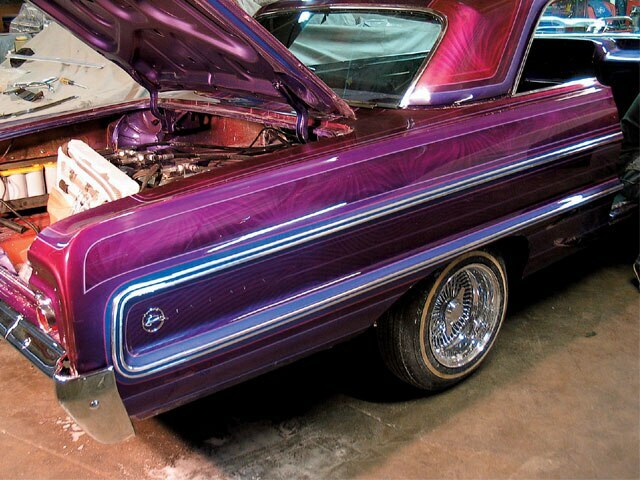 Now follow along as this Impala gets put together using off-the-shelf moldings from CARS, Inc. 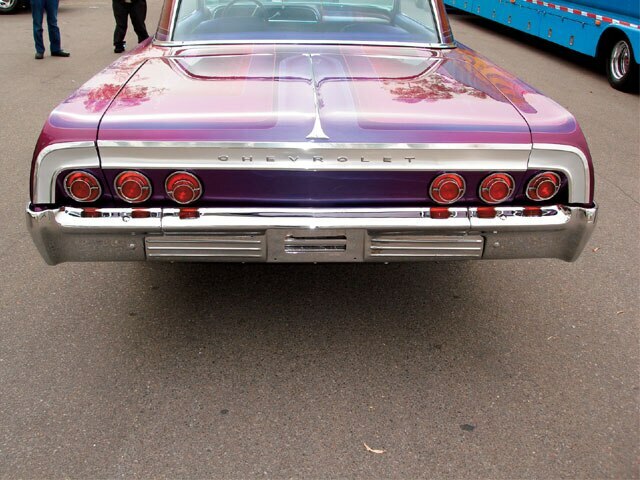 This ’64 Impala was ready to receive new moldings, but not before the paint was buffed to a mirror-like shine. After allowing the paint to breathe for about a week, the body was buffed out before the car was reassembled. 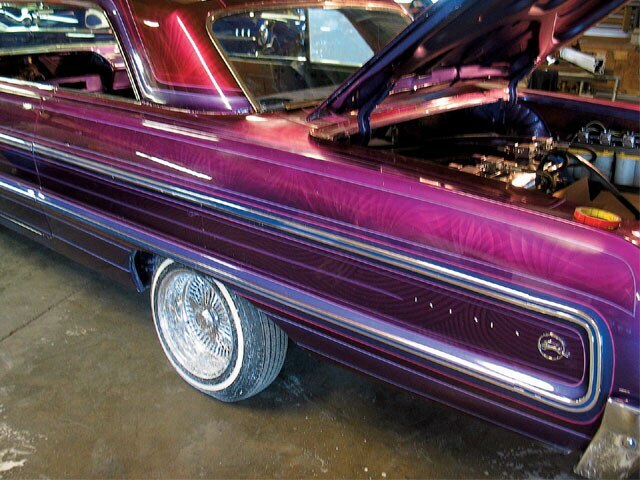 First on the agenda was to start assembling the CARS, Inc. ’64 Impala moldings that were painted to match the exterior of the car. The moldings went on one at a time. Rick made sure that they were not over-tightened as that will pinch the paint. Lining up the moldings before they were tightened snug will help you avoid scratching or gouging the paint. When bolting on multiple moldings, you always need to make sure that they line up. Even a slight difference will give the car a not so good look. While putting on the quarter panel moldings, it was decided to wrap up the Impala letters that go on the vehicle. The front fender trim was lined up with the rest of the side moldings. The rear cove moldings were lined up and looked over before they were bolted on. The first to be bolted on was the corner cove pieces. Make sure that they don’t hit the center molding when put on. Luis made sure that the center molding lined up before it was tightened down. 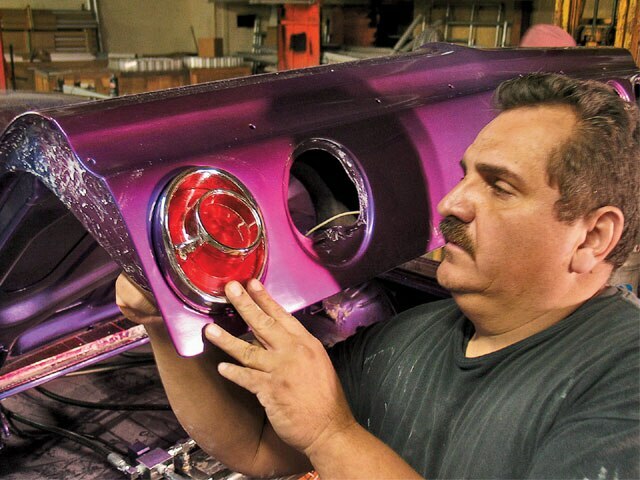 Frank bolted on the new taillights, lenses and Dakota Digital LEDs that brought the car’s lights to a modern day brightness. The same process was used on both sides of the car. 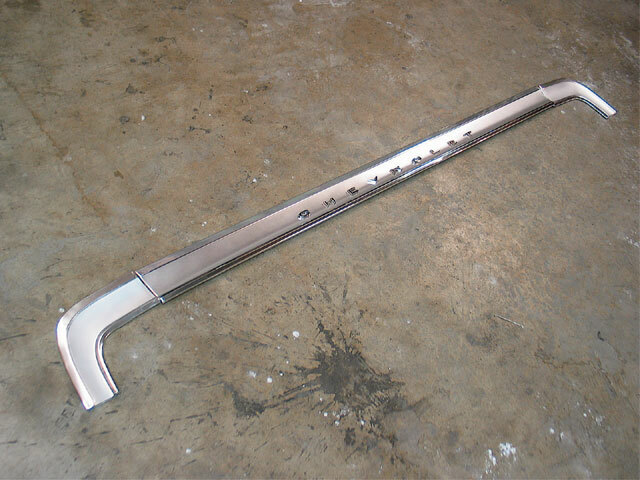 The rear cove moldings purchased at CARS, Inc. look good and went on easily, as all that holds it in place were a few molding clips from the factory. This car received all-new aftermarket moldings to give it a fresh new look just like when it came from the factory 40 years ago.